The year’s hottest months are here, and with the blistering heat comes another hated harbinger of summer: mosquitoes. These blood-sucking monstrosities are a constant annoyance that no amount of bug spray ever seems to deter. Every year, we attempt a new method to keep them away, and every year we fail. But according to a recent study published in Acta Tropica, we just needed to use dubstep to solve all our mosquito woes. The study “assessed the foraging, host-attacking and copulation activities of Aedes aegypti exposed to electronic music,” according to its summary. Scientists hoped to examine how music—in particular, dubstep—affected the behavior of mosquitoes. For the study, scientists used the song “Scary Monsters and Nice Sprites” by Skrillex. For mosquitoes, a sound is crucial. 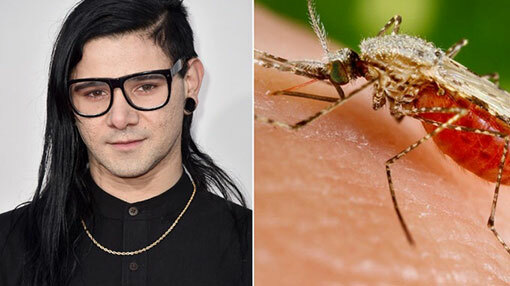 The group of scientists studied the behavioral impacts of electronic music in mosquitoes, and found that “such music can delay host attack, reduce blood feeding, and disrupt mating.” Thankfully, they had Skrillex’s Grammy-winning work to lean on. Researchers chose the 2010 song for its “mix of very high and very low frequencies,” according to BBC. Female mosquitoes were “entertained” by the music, which meant they took much longer to go after a host. Mosquitoes in general fed less frequently when the electronica was being played and adults with music spent far less time copulating. The finding that Skrillex could stand in for traditional mosquito repellants is certainly unexpected, but not at all unwelcome. Next time you’re headed outside you can skip the spray-on chemicals, and just blast some Skrillex instead. We’re sure your neighbors won’t mind.